22 golfers played Wednesday morning with cooler weather making the round very enjoyable. The event was stroke and putting, with Dr.Martin Lowe(15) excelling with a nett 68. Miranda Gill won the putting with 25 putts on CB from Michael Spagnolo. 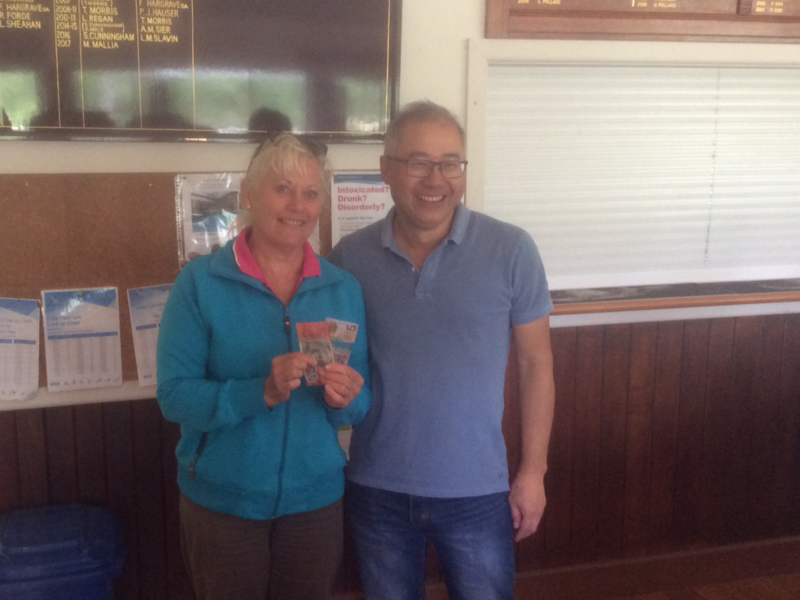 First for the Ladies was Karen Sangster(27) with a nett 72. Second for the Men was Jeff Aurisch(16) 71 from third Bob Glenister(10) with72. Second for the Ladies was Margie Wright(31) 74. Ivor Brayley won the Club Award. NTP on the 11th was Alan Pell. The team average was won by the Men with 75.5 to the Ladies 76.5. Gender Points went 40 – 2 to the Men. Totals are Men 270 to the Ladies 150. A reminder to all players that if you start a competitive round but have to withdraw you should still pay the competition fee. It has always been a Yea tradition that match fees are collected after the round. It would be a pity if this had to change. Next week in the final gender event, play will start at 8:30. It is a par event with individual matches being drawn from the cards. Each match is worth 10 points on top of the winning points. Be there at 8:00am for a 8:30 hit-off.